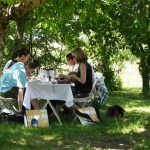 Terroir Feely award-winning wines from a 7 hectare certified organic and biodynamic vineyard part of a 14 hectare farm that includes wild areas, oak forests and an organic garden. Feely vineyard is certified organic with ecocert and biodynamic with Demeter. This is a series of ‘spotlight on’ the wines in the range. A fine red wine with notes of plum and blackberry and a hint of cocoa and smoke. Enjoy with pasta, pizza, BBQ, red meat or dark poultry. Thirty year old vines contribute depth to this designated vineyard, limited production wine. This wine is fermented and aged in a stainless steel vat. To extract colour and tannin we favour punch down rather than pump over. The free run wine is run off soon after the fermentation is finished (only a little post fermentation maceration). Vegan friendly. Indigenous yeast. Unfined. Unfiltered. 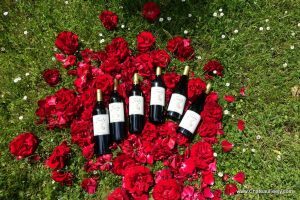 1200 bottles (2014) from Merlot on limestone on the Feely’s certified organic and biodynamic vineyard. You can buy Resonance online for shipping in France and most of the EU. 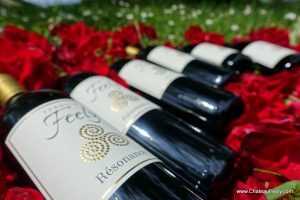 The range of wines from Chateau Feely includes certified organic and certified biodynamic wine, natural wine, reds, dry whites, rosé wine, MT sparkling wine, walnut wine and dessert wine. Vegan friendly. The 2011 has a sensation of petillance because of a small amount of nitrogen gas added at bottling and leftover CO2 from fermentation. It will mean that it will age very well. If you don’t like petillance you can remove it by shaking the wine (video demonstration to follow). It also has a hint of blackcurrant leaf that is not present in the other vintages and makes it reminiscent of a Loire valley cabernet franc. 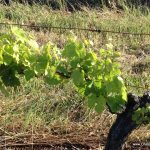 See our spotlight on Luminosite natural organic biodynamic white wine. 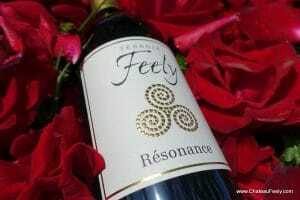 To follow – Recipe suggestions for Resonance. Spotlight on Sincérité and La Source.